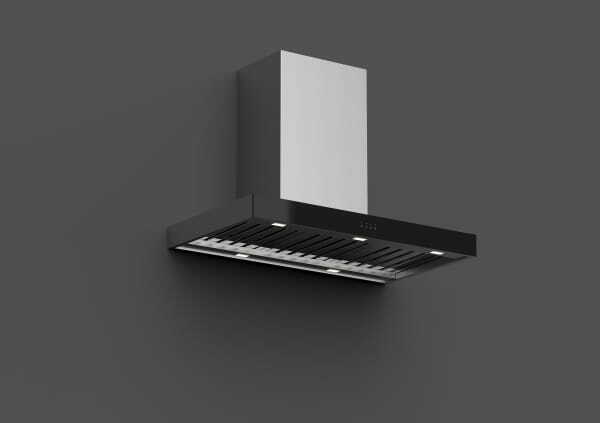 Whispair’s Rome 90 canopy rangehood incorporates the unique stainless steel S-Flow baffle filtration system. Replacing traditional clog-prone mesh filters enables the hood to maintain the highest extraction performance whilst minimising noise. Whispair’s ‘remote motor’ solution completely removes the powerful fan motor from the canopy and places it away from the kitchen, considerably reducing operating noise whilst still achieving a high level of extraction. Bring world-leading craftsmanship and fabrication with hand-polished, fully welded seamless construction. Whispair utilises only the finest 304 grade stainless steel in its indoor hood range, whilst the alfresco BBQ hood range incorporates the ultra-durable marine grade 316 stainless steel that can with stand even the harshest conditions. Ultra-efficient, long lasting LED lighting diffuses a warm radiance across your whole cooking surface and the intelligent and exclusive MasterMind Electronic System. Designed and assembled in Melbourne, Whispair, offers piece of mind with a market leading 5-year warranty an enduring 10-year factory motor warranty. Whispair delivers a quiet extraction system with unparalleled performance.